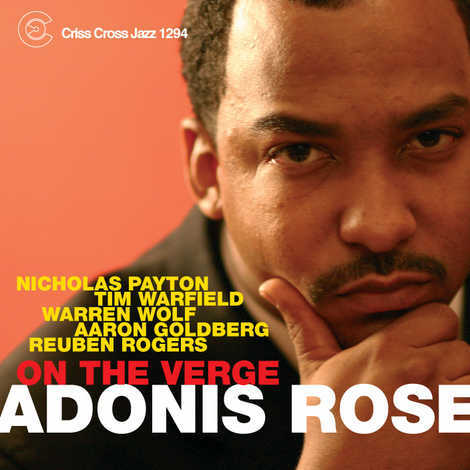 Burnouts, ballads and the blues coexist felicitously on drummer Adonis Rose's third Criss Cross date, ON THE VERGE. As he did on SONG FOR DONISE and THE UNITY, the New Orleans born drummer, now a resident of Fort Worth, Texas, deploys former boss Nicholas Payton and ex Payton Quintet members tenorist Tim Warfield and bassist Reuben Rogers, augmenting the group with pianist Aaron Goldberg and vibraphonist Warren Wolf, his former front-line partners in Payton's quintet. Rose knits together the proceedings with fluid, precisely executed grooves, dotting all the i's and crossing all the t's.